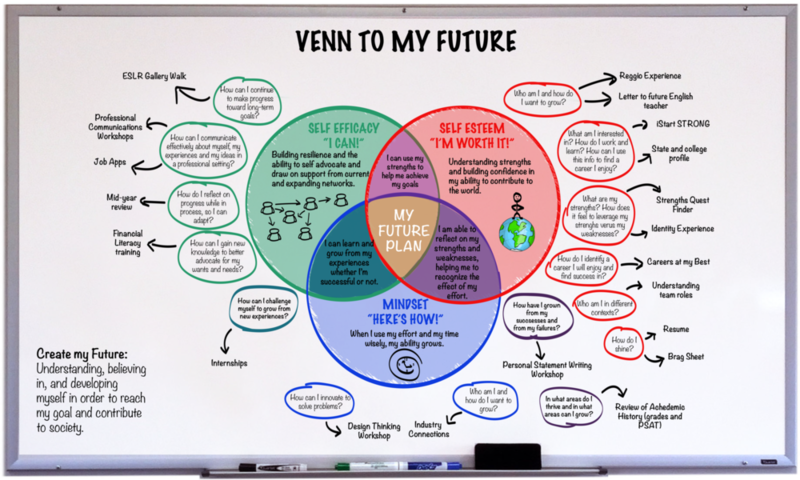 Our vision is to provide a space where students can experience work-based learning in a new way resulting in increased Self Esteem, Self Efficacy, and Mindset Awareness. After experiencing the E2E Lab, students will leave with purposeful and attainable future goals. E2E Incubator Lab: Maximizing Student Self-Efficacy through…. Increased number of opportunities to engage with post-secondary students in shared projects and be recognized for their contribution through awards, publication opportunities, etc.